How To Get That Dream Job today! Job interviews are designed to provide companies with the opportunity to select the most suitable candidates. They want to ensure you fit their profile in terms of personality, competence, ambition and are up to the task. You will need to demonstrate confidence and professionalism. So how do you pull it off and still come across confident and sincere? 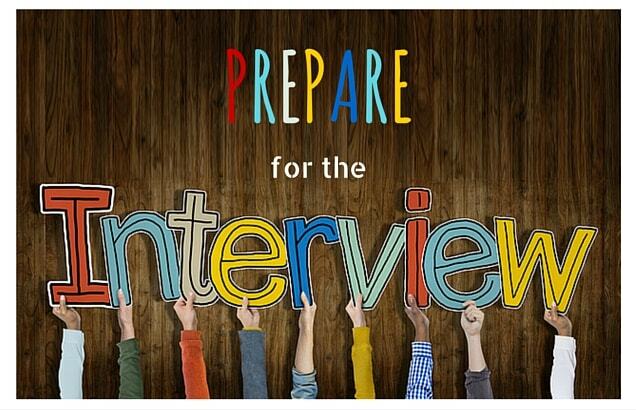 Consider the following guidelines below when preparing for an interview. Although each organisation may differ in etiquette, behaviour and formality, it is important that you always present yourself in a professional, well presented manner. Give yourself the best chance possible! Gather information about the position beforehand. It is extremely important that you are aware of what the position entails before the interview. Often a recruitment company will interview you beforehand and provide you with details of the company and what the position will entail. Make a list of the basic skills and industry knowledge they are seeking. If you found the job post online, analyse it thoroughly, and research the tasks involved. If there is no job description, it is advised that you do not call the company, rather gather as much information as possible off their website and other resources. This should help give you an idea of the type of candidate they are looking for. Do research about the organisation. You will also be expected to research the company’s features and attributes. This includes their long-term goals and objectives, the services they offer and any Corporate Social Responsibility accomplishments. If you are unsure who will be leading the interview, it is recommended researching the backgrounds of the Managers and Directors. Practice responding to common interview questions. Perform a role play with family or friends. This will give you the additional confidence you may require during the interview process. This will assist in calming your nerves so you don’t stutter and ramble your way through the interview. Also, run-through your CV to ensure you are clear about the time frame of previous positions or courses you may have studied. Why do you want this job / what do you know about us? What skills do you have relevant to the position? Have you done anything to further you skills? Give me a general description of your responsibilities in your current or last job. Describe a major issue you have dealt with, and explain how you handled it? Dressing appropriately is one of the most important aspects of a successful interview! As we all know, first impressions are lasting impressions. Be well prepared, set-out your attire the evening before your interview. Men should always wear a suit – best colours are black, … essentially dress smartly. Shirts should be of a good quality and neatly ironed. Preferably take along a briefcase or portfolio. An interesting fact – Take note! A CareerBuilder.com survey stated that 41 percent of employers say people who dress more professionally, tend to be promoted more often than others in their organization. Work you have previously done – i.e. Designs, Articles, Portfolios. Avoid getting distracted and missing any questions – if you are unable to answer, ask to come back to the question at a later stage. Good Luck. We wish you all the success with your interview !